Craftsman style home at 3 blocks from downtown Flagstaff's Heritage Square. Nearby attractions -Red Rocks of Sedona, Grand Canyon National Park. No pets. Each of our unique rooms has its own bath. Rent a room for the night or the whole house for a week. Bed and breakfast near Lake Powell, offering full breakfast, patio and swimming pool. Boasts clean bedrooms and full amenities. Near downtown shopping areas and restaurants. Located a few blocks from Grand Canyon Railway in downtown Williams! All non-smoking rooms, Train & helicopter packages, riding, hiking & golf tours. AAA rated lodging. Enjoy a comfortable suite. Private bath, porch, and living room. Start your day with hot beverages on the porch and a full breakfast. Enjoy views of Lake Powell and the surrounding mountains from the center of Canyon Country. Rooftop sun and spa deck. Privacy and Comfort are top priority! A peaceful area to enjoy the scenery of Mount Elden with breathtaking views. 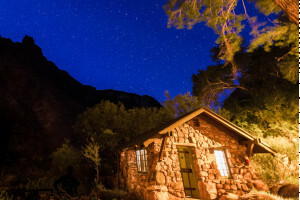 Gourmet food, hiking, biking, and quiet relaxation are included! Strikingly beautiful and only a short walk to downtown Flagstaff. Extra pillows, cozy robes, and luxury toiletries. Full breakfast and fresh baked snacks. A great place to visit for some peacefulness and kind people. Delicious food and close to the Sedona desert, with beautiful sunrises and sunsets. Beautiful and fantastic accommodations at the Hotel Vendome in Prescott, Arizona! Rates, packages, and specials available! Many great local attractions! This bed and breakfast is designed for the horse lover in mind. Accommodations are available for you and your horse. Miles of Arizona trails to explore. Private ranch serving Sedona and the Verde Valley area. Private patios, gardens and other amenities highlight this luxurious bed and breakfast. Savage Point Bed & Breakfast, located in Kanab, Utah, is in a perfect location for exploring the National Parks & other Public Lands. B&B Guest rooms in Williams, Arizona. Decks, porches and flagstone patios. Non-smoking rooms, Piano and pool table. Summer discounts. Nearby day trip attractions. 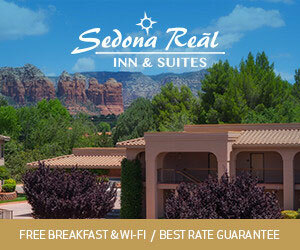 The Southwest Inn At Sedona is a Boutique Inn with beautiful views of the area. Designed to "keep Sedona beautiful", the inn is both green and decorated with local artwork. With new pricing options now is the perfect time for a romantic vacation. And the Starlight Pines Bed & Breakfast located in Flagstaff Arizona is the perfect weekend getaway. Relaxed historical bed and breakfast featuring tastefully decorated rooms, beautifully maintained gardens, and delicious breakfasts made fresh from the local markets. Beautiful Victorian-style Bed&Breakfast experience. Located close to the famous "Whiskey Row", galleries, and restaurants. Wireless internet and four different rooms/suites are offered. Located only a short drive from Bryce, Zion, and Grand Canyon National Parks, and Lake Powell. Each room includes a jacuzzi, fireplace, and full breakfast.